Leasing is an efficient way to finance an office printer for your business, offering manageable payments along with the option to trade up when new technologies arrive on the market. Leasing printers for your business is a great way to avoid the large capital outlay usually required when you buy your printer outright. For many small companies buying office equipment like printers and copiers eats up working capital that simply cannot be spared. When you buy your printer you are also saddled with amortization costs and may find yourself stuck with an obsolete machine earlier than expected, with little or no resale value. Printer leasingis a great way to get around this dilemma, offering several concrete advantages. Your business doesn’t earn money in lump sums, so it would be best to avoid paying out lump sums on the expense side of the ledger. Leasing allows you to set up regular payments each month or each quarter. With a leasing arrangement you know in advance the amount and dates of these payments so you can plan your budget to accommodate them. 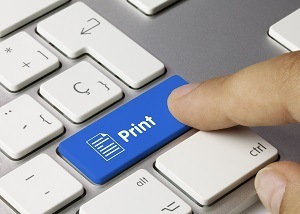 The cost of leasing printers can be written off as a business expense which will reduce the overall cost of printer leasing. Like nearly all pieces of office equipment, printers and copiers depreciate over time. Leasing provides the option to upgrade to better technology at a lower cost than if you were to buy business printers each year.